I am just like a lot women when it comes to shoes. I like shoes. The only difference is I don’t buy them as much as other women do. First, I have no use for a lot of shoes especially now that I am a work-at-home mom now. Aside from that I also tend to stick with the same pair of shoes for a long time. This is also the reason why I always make sure to find the shoes that are very comfortable but presentable. One store that I just recently came across is Infinity Shoes. It has a wide variety of shoes which are within my price range like these minnetonka boots. Moccasin shoes have been one of my favorite because of their comfort. Aside from moccasin shoes, this site also has other kinds of comfortable styles like tsubo shoes and seychelles shoes. 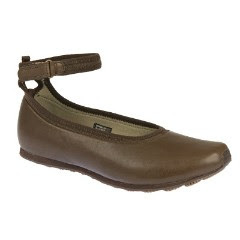 The seychelles shoes have styles that look very comfortable that I love to have a pair of. My sister though has a hard time finding the right shoes for her because of some problems with her walking so I am thinking of getting her a pair or two of the tsubo shoes. These certain style are made to be both firm and soft so I’m sure she will love to something similar to this pair of tsubo shoes.